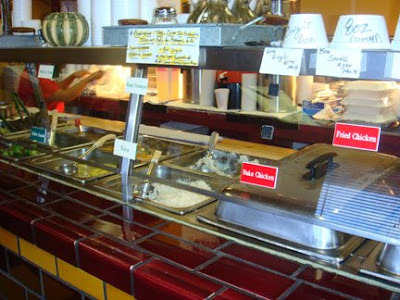 If you know me at all, you won't be surprised to hear that my favorite restaurants are soul food and barbecue joints. Besides the food, which often bears the unmistakable charm of somebody's mama's mama's specialty, I just love the quirky character of these small restaurants. 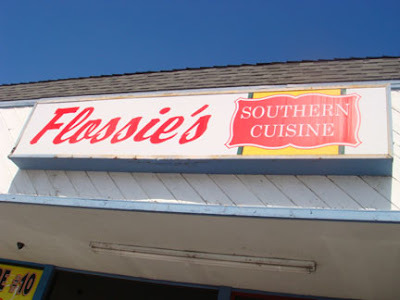 Flossie's is among the best I've tried, and I'm lucky that it's only a few blocks from my house. I enjoyed the tender fried chicken although the perfectly crisp crust left me wishing for more flavor. I wonder if it's just plain flour. I don't require ELEVEN secret herbs and spices, but two or three would be nice. On the other hand, Flossie's meatloaf is amazing, the silken soft, melt-in-your-mouth texture that I repeatedly fail to achieve at home (and if sauteed vegetables are responsible for its moistness, Flossie is smart enough to hide them completely -- there's nothing worse than meatloaf studded with chewy little bits of indigestible green pepper). I haven't sampled all the sides but so far my favorites are the green beans and potatoes, the blackeyed peas served over rice, and the sauteed cabbage. All are very simple, maybe a little on the salty side but nothing heinous. The diced yams are too sweet for my taste but at least they are not drenched in molten marshmallow goo. And the cornbread stuffing must be very popular because the tray is always empty when I'm there. 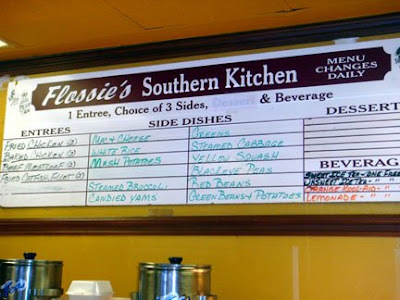 And oh, did I mention that Flossie's makes a pretty decent mac? There are no crunchy breadcrumbs but a generous layer of Cheddar on top insures that the macaroni below stays piping hot, and the servers are careful to portion it out so that everyone gets their fair share of crispy browned cheese topping as well as the rich, dense, custard-like mac. Cheddar is the only cheese I can identify but it is assertive enough. 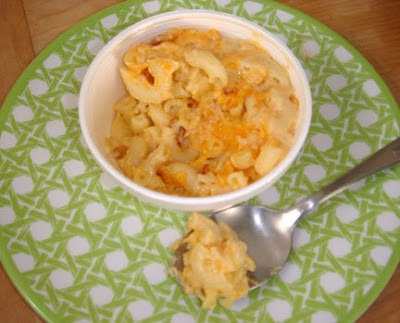 The sauce-to-noodle ratio is just right, and although it comes from a humble steam table, the consistency of Flossie's macaroni and cheese is toothsome and comforting without the greasiness that sometimes plagues takeout mac. In short, it's not gourmet, but it's plenty good in a decidedly homecooked way, without the hassle of home cooking. And with all the Southern specialty vegetables available as side dishes, you can even feel vaguely virtuous when you place your order. 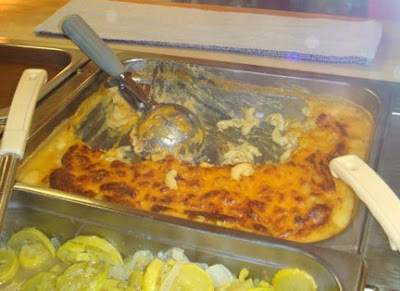 I'll have the okra, the cabbage and, OH YEAH, a big steaming scoop of mac and cheese! !